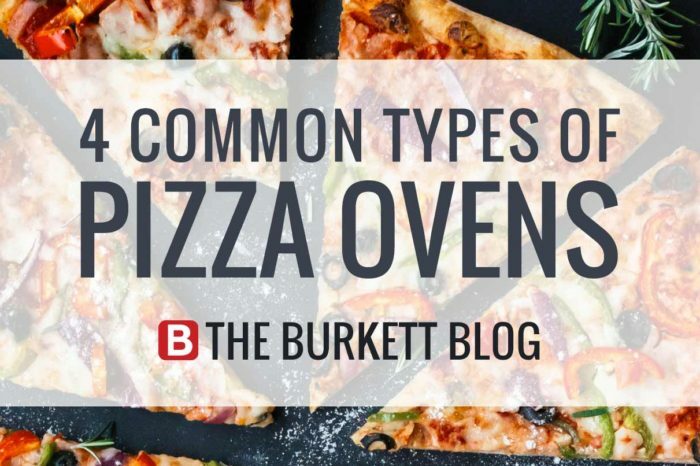 Deck ovens and conveyor ovens are the most common types of pizza ovens. 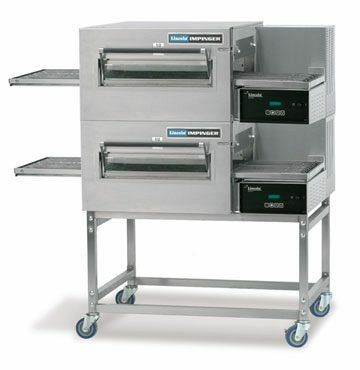 Often used in quick service restaurants, deck ovens are best for quickness and ease of use. Deck ovens can have ceramic based decks that help in distributing heat evenly, and maintain heat between batches. Pizzas are set on the heated stone to cook and the result is crisp, authentic crust that closely mimics the flavor of pizza cooked in a wood-burning oven. While deck ovens require a little more attention, they’re also very eye-appealing, allowing customers to watch their pizza being cooked old world style. Conveyor ovens make pizza cooking simple and quick. The conveyor oven cooks pizzas evenly and in a lightning-fast six minutes. Raw pizza is placed on one end of the conveyor belt and comes out the other end perfectly done. Both gas (fueled flame) and electric coil conveyor models are available. You’ll more than likely see these at fast-food pizza parlors. Conveyor ovens have a long shelf life. If you’re considering a used conveyor oven, you can rest assured that you’ll be delivering delicious pizza for years to come. Cart Ovens are perfect for street vendors or for making pizza at fairs and carnivals. They are small, easy to transport and can be powered by gas or electricity. Cart ovens are popular in Italy, where they’re typically seen at festivals and street fairs. Convection Ovens cook pizza by circulating hot air inside the stove. A cheaper and efficient option, commercial convection cooking results in even cooking and is favored for all types of baking. Pizza cooked in a convection oven will be perfectly cooked with no hot or cold spots to worry about. While delicious and tasty as a beverage, Draft Beer is not just for drinking! For all your chooclate loving customers, take your restaurants standard chocolate cake to the next level by adding Guinness. Grease a 9-in. Spring Form Pan and line the bottom with parchment paper; set aside. In a large bowl, beat cream cheese until fluffy. Add confectioners’ sugar and cream; beat until smooth. Remove cake from pan and place on a platter. Ice top of cake so that it resembles a frothy pint of beer. Refrigerate leftovers. Ranges, Refrigerators and Ovens are all vital components of any commercial kitchen. From warming foods to baking your fabulous dishes your Oven is perhaps one of the most used piece of equipment in your restaurant so let’s keep it performing at 100%. While specific maintenance requirements vary for each manufacturer, here are a few tips to keep you Oven working. Refer to your Instruction Manual for more specific maintenance advice. Clean exterior with a cloth and stainless steel cleaner. Dry with a clean cloth. To clean interior, remove racks, rack supports and back panel. Soak parts in a water and ammonia solution. Clean porcelain interior with commercial oven cleaner but do not allow cleaner to come in contact with temperature probe, heating element or blower wheel. Let cleaner sit 10-20 minutes then wipe clean with wet cloth. If you have caked on spills inside your oven, use an oven brush to thoroughly clean these spots. Clean painted and stainless steel surfaces with a wet cloth. Reinstall removed components. Clean fan daily to prevent grease buildup. Inspect oven seal to prevent heat from escaping. Clean around door to remove food particles that prevent a proper closing. Annual Maintenance: Venting system should be checked annually for possible deterioration from moisture and corrosive flue products. This must be done by an authorized service technician. 1. Clean interior with a wet cloth regularly to remove spills, crumbs and grease as this will prevent even airflow and cooking.Use a damp cloth for light cleaning and a non-caustic cleaner for heavier, baked on messes. To prevent costly damage, do not use excessive water or caustic oven cleaner. 2. Cooling Fan Grill: Clean daily with a stiff nylon brush and check air intake. 3. Conveyor Belt: Remove excess crumbs from conveyor belt with a brush. Remove and clean crumb pans. Remove the belt once a month for a more thorough cleaning. 4. Blower/Fan Motor: Thoroughly blow out the fan motor components and vents with compressed air to prevent the failure of the blower fan motor. Do this every 3 months. Check Blower Fan Belt for wear and tear. 5. Electrical Terminals: Every 3 months tighten all electrical control terminal screws. 6. Ventilation: Check air circulation every 3 months throughout the oven to make sure it’s not blocked and is properly working. 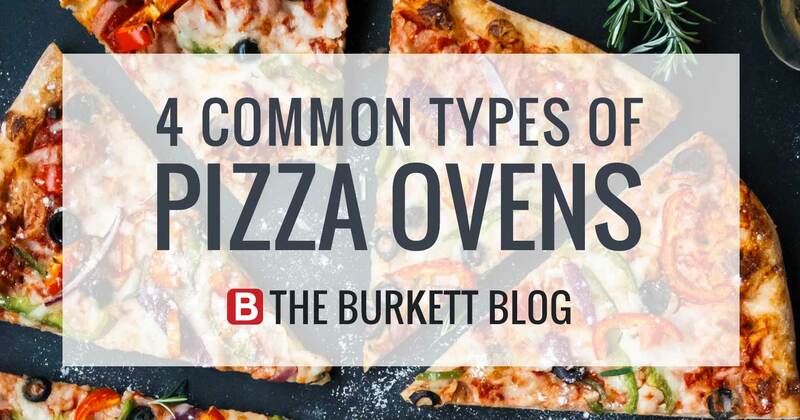 Contact Burkett to discuss options to troubleshoot your issue and get your Oven back up and running! Burkett Parts Support can be reached at: 1-800-828-8564 ext 299.